We all know that Mother Nature can come in and cause a number of problems in her wake. From tornadoes to hurricanes, hail, lightning and wind, the consequences can be more than one can handle on their own. Just because you might not think it will happen to you, that doesn’t mean it won’t. Sure, we all want to assume that our homes will be protected from anything that comes along, but what if they aren’t? What happens when the weather takes over your property and destroys your belongings? Damage from winds can be either mild or quite severe. Regardless of whether it is in the middle of summer or the dead of winter, storms can pack a punch in their wake. The winds that come from these dangerous storms is often more than some homes can handle. In severe cases, your home ends up damaged far more than what you might have ever thought possible. Now, you are stuck trying to figure out what you are going to do to correct the situation. Instead of struggling to handle the job on your own, you need to call in a team of professionals who can get to work on your property right now. You need to get someone out to your home to prevent any additional damage from occurring. Leaving the problem alone and hoping it will be okay isn’t going to solve your problem. In fact, you are actually doing more harm than good. Regardless of when an emergency strikes, you need someone who can address your concerns in a timely fashion. We have someone who is available around-the-clock to answer any questions or concerns you might have. If you need someone who can get to work right away, you are in the right place. During times of an emergency, you can count on us to be there for you. If you are dealing with damage from lightning, wind or fallen trees, we will be there in a pinch to help clean and repair your damaged property. We understand that you never know what is going to happen, but we will make sure nothing is left to chance. Your property needs to be taken care of as quickly as possible to prevent any additional damage from occurring that could have been prevented in the first place. We have all of the latest in technology to handle the damage from storms. Cleaning your property and repairing anything that needs to be taken care of are two of the things that we do best. Since we get to work quickly, it helps to shorten the length of time the entire process takes. We want to help you put the whole process behind you. The quicker we are able to step in and help you, the better the chances are of you being able to recover your property and belongings. Don’t delay; give us a call as soon as you notice the first signs of damage. 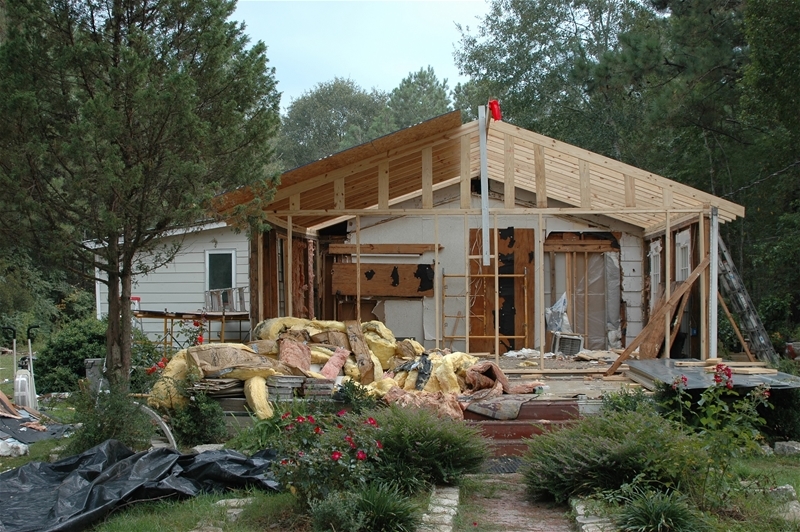 We will get to your property as quickly as we can to begin restoring all of the damage caused.